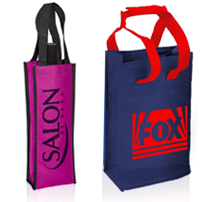 Are you looking for fun ways to market your brand at trade shows and marketing events? 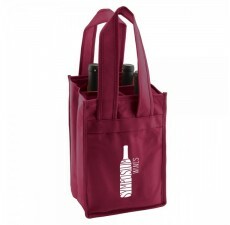 Custom wine tote bags make great giveaways, carrying your brand into new places and exposing your products to brand-new customers. 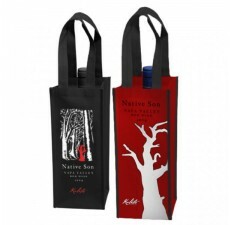 You can leverage that marketing push even further by giving out quality reusable wine totes that are not only stylish but are also eco-friendly – giving your business a green image and reducing pollution at the same time. This is a terrific eco-friendly image enhancer for your company and its products your customers are sure to recognize and appreciate. 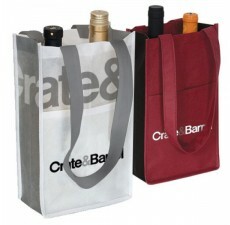 Why Use Reusable Wine Totes? 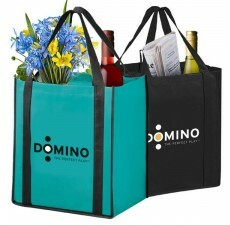 - Great For Wine Stores! 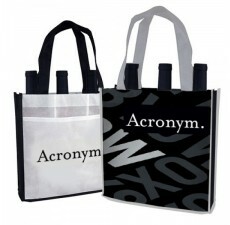 We offer an extensive range of colors, designs and styles. 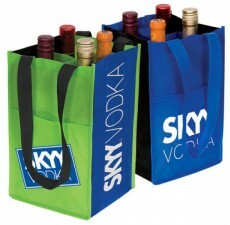 At Custom Grocery Bags, we offer a great range of colors and styles for wine tote bags. We use superior recycled fabrics made from post-consumer plastic content, top-quality inks, and the most modern manufacturing methods to accommodate all your design needs. 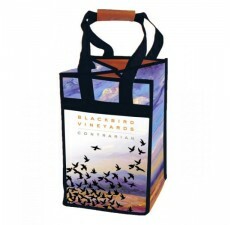 Your customers will continue using these totes over and over again, serving as a constant reminder of your company’s commitment to an ecologically healthy world. 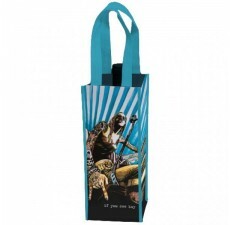 We offer single packs as well as totes for 2, 4 and 6 wine bottles. 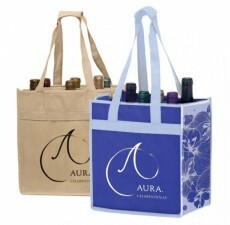 Our eco-friendly wine totes are made of recycled polypropylene materials extracted from post-consumer plastic – material that would otherwise be choking a landfill or being thrown into the ocean. This is our contribution to supporting an environment that is already burdened by billions of non-recyclable plastic bags and bottles every year. 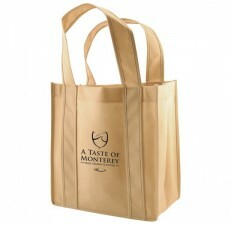 All of our custom grocery bags are 100% recyclable and non-toxic. 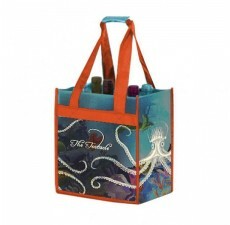 Recycled wine totes from Custom Grocery Bags are easily cleaned and are supported by reinforced handles and bottoms to ensure that the bag remains intact and stylish even after repeated usage and washing. We use high-quality inks to ensure that your company branding will remain visible wash after wash. 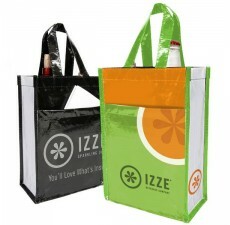 Recycled wine totes from Custom Grocery Bags are easily cleaned, and are supported by reinforced handles and bottoms to ensure that the bag remains intact and stylish even after repeated usage and washing. 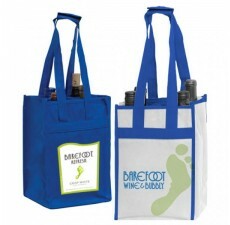 We use high-quality inks to ensure that your company branding will remain visible wash after wash.
With quality wine totes available for as little as $0.69 apiece, marketing your brand just became simpler, cost-efficient and very effective! Don’t wait another minute - contact us today!